Established in December of 1991, High Country Training (HCT) is the creation of two horsemen with very unique and diverse backgrounds. Kim and Deb Witty came together to form HCT with a common goal in mind: To produce quality and competitive show horses and to have fun at the same time. Deb Witty grew up as Debbie Bevan in western Washington. Showing Arabians all though her youth, Deb's family had long been into Thoroughbred race horses. A third generation horse trainer, Deb combines a racetrack knowledge base of conditioning and nutrition with a show horse outlook on training and presentation. Specializing in Arabian and 1/2 Arabian performance futurity horses and helping an occasional amateur, Deb Witty focuses on foundational training in young horses that will lead to a long and successful performance career. 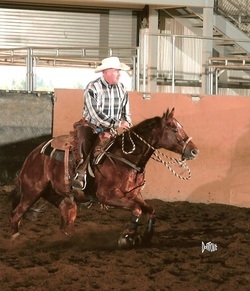 Kim Witty, husband and partner in HCT brings a ranching background to the modern day reining and cow horse. 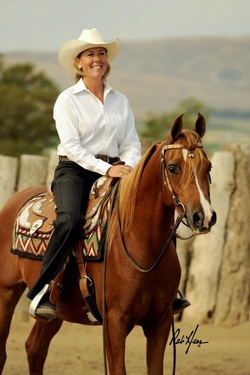 Growing up in Eastern Oregon, Kim's lifelong experience with horses includes ranching, roping and rodeo. After a 7 year apprenticeship at one of the leading Quarter Horse performance barns in the 1980's Kim found a passion for competition, especially in the working cow horse events. He has competed at major events for 5 different breed and disciplines and gained titles including: 2006 Reserve World Champion Reined Cow Horse Hackamore, 2012 AHA National Champion Jr. Cow Horse, 2012 AHA National Champion Cow Horse Futurity as well as many others. Today Kim Witty's portion of HCT represents about 75% business. With the current growth of the cow horse industry continuing interest in the reining and the constant need for colt starting at High Country Training staying busy is never an issue. The blending of these two backgrounds has served to create an extremely successful business that works on the basis of hard work and honesty. Each client's individual needs are considered and each horse's potential evaluated honestly. In addition to Kim and Deb the farm hosts one apprentice trainer, currently that position is filly by Portia McCutchan.